There seems to be a lot of things we’re doing wrong these days. We shouldn’t eat this or drink that. We shouldn’t watch so much TV or be online or on Facebook. We’re all getting fat and unfit and we’ll all be very unhealthy and sick. It’s enough to make the happiest people sad! But I think there’s one thing there should be more of: the fruit bowl. My mum always has one filled with beautiful fruit which makes impulse eating relatively virtuous. We’ve instigated one here at Mulberry Tree Farm and I’ve noticed it works a treat. Sitting front and centre on the kitchen bench, I eyed the fruit bowl and decided to snack on a mandarin while Hubby busted out a Granny Smith. It’s so tempting to grab colourful fruit when it’s easy to get to. And that’s one thing we should be doing more of! P.S. 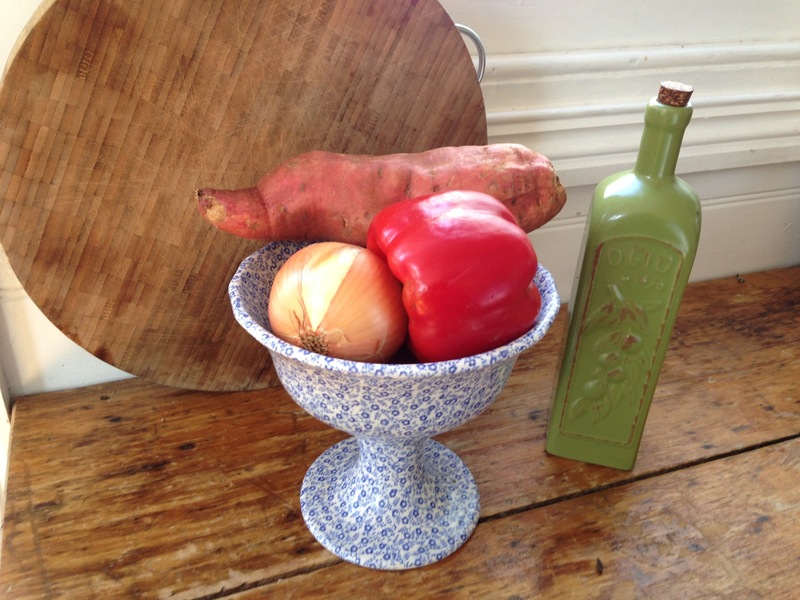 Yesterday the fruit bowl morphed into a veggie bowl and it’s inspired me to make a roast capsicum soup! Veggies on display can be just as tempting! There’s been a lot of talk of late about sugar in our diets. Especially hidden sugar in our diets. Recently the ABC program Catalyst ran a segment on the damage that sugar is doing to our insides. Food companies now flag low fat, but they’ve upped the sugar so much that it is now a problem. So what do we do? With more people working long hours it is really hard to find a balance between grocery shopping & cooking & exhausting ourselves. I have a rule of thumb and it’s this: if food is in a crinkly sounding packet, avoid it. Unless it’s baby spinach or chopped fruit, it’s probably got a lot of sugar in it. Keep an eye on the nutritional panel per 100g column too. The per serve column can be misleading. And finding quick recipes for yummy treats can be rewarding. 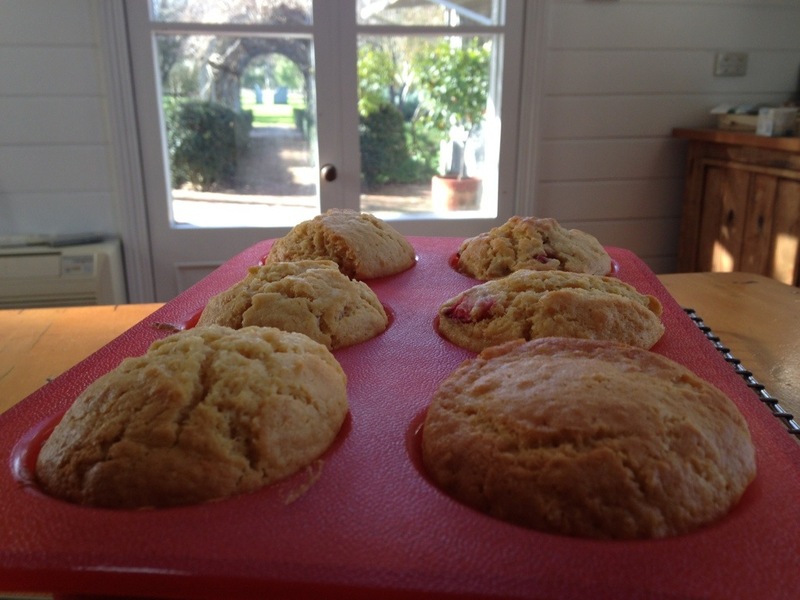 Take these muffins for instance. 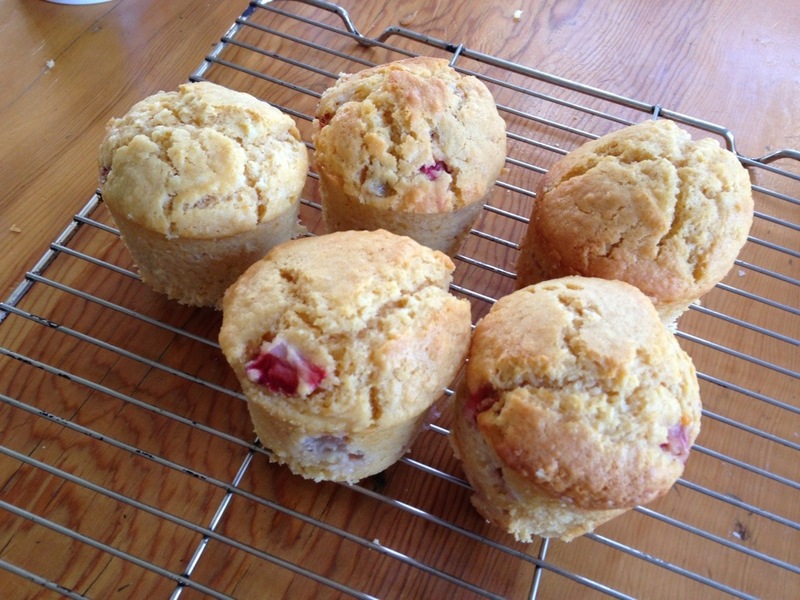 I used two thirds of the sugar listed in the ingredients and added the equivalent weight in strawberries. Total time, preparing and cooking, was 35 minutes. And the smell that filled the kitchen was worth every second!